Looking to run the London Marathon in 2020? The 2019 London Marathon takes place on 28 April 2019. If you're successful in the 2020 London Marathon ballot, we'd love it if you could pick the National Literacy Trust as your chosen charity. By running for the National Literacy Trust with your own place, you can help us change the life stories of some of the UK’s most vulnerable children. Our team will be supporting you every step of the way and make sure you have an incredible marathon experience. No minimum sponsorship is required - just raise as much as you are able for the charity. Get in touch with our fundraising team for more information. Not quite ready for a marathon? 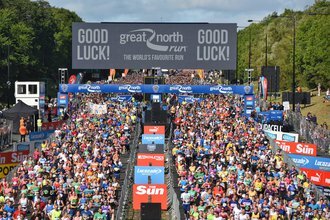 If you're not quite ready for a full marathon but are still looking for a challenge, we have places available on lots of brilliant half-marathon runs in 2019 and 2020. 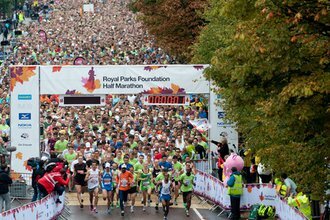 The Royal Parks Half Marathon is an opportunity to run for a great cause while enjoying the beautiful scenery of Hyde Park, Green Park and St. James’s Park. Join our team for one of the world’s most iconic half marathons, and help give disadvantaged children a route out of poverty! 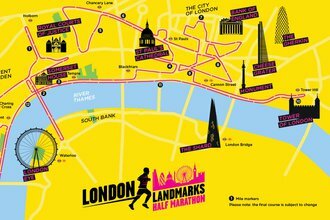 Join our team for the incredible London Landmarks Half Marathon and help change the life stories of disadvantaged children. You could also take part in amazing cycles and treks to raise for our work!